Not So Sober Thoughts-Ep 57: What The Hell Is Going On In The World? Welcome or welcome back to Notsosoberthoughts with Meghan and Amanda! This week we do another off the cuff episode where we read through the top news headlines and discuss what is going on in the world. So please sit back, relax and enjoy! Website-notsosoberthoughts.com … You can only find every single episode of our podcast on our website. Itunes only shows the last 10! Facebook- Not so sober thoughts. If you like our page you will be notified every time a new episode goes live. Not So Sober Thoughts-Ep56: Mystery Episode! Must listen to find out the topic! Welcome or welcome back to Not So Sober Thoughts! This week is mystery week so you must listen to the podcast to find out the topic. So please sit back, relax and enjoy! Welcome or welcome back to Not So Sober Thoughts with Meghan & Amanda! This week we play the game guess the movie with the plot explained badly and let’s just say you don’t want to miss out on this. So please sit back, relax and enjoy! Welcome or welcome back to Not So Sober Thoughts! This week we have a very special episode dedicated to a special friend of ours. We give tips to get over a broken heart and signs that a man isn’t in the relationship for the right reasons. So please sit back, relax and enjoy! P.s. please ignore our dead air at the end. We are still working out the kinks in the new Garage Band update. Thanks! Patreon credit- Amber Saenz Thank you!!!! Welcome or welcome back to Not So Sober Thoughts! This week we discuss what life was like for us and our parents before the Internet became prominent in our lives. So please sit back, relax and enjoy! 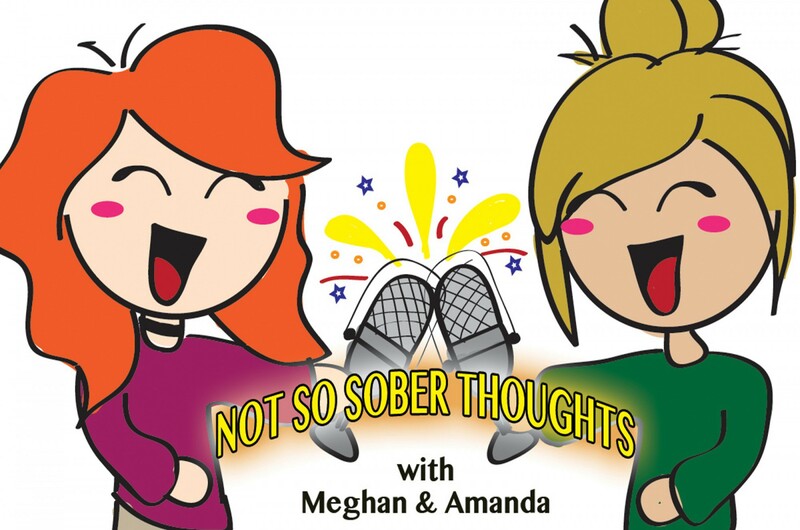 Welcome or welcome back to Not So Sober Thoughts with Meghan & Amanda! Here is a bonus episode for you all so please sit back, relax and enjoy! Welcome or welcome back to Not So Sober Thoughts with Meghan and Amanda. This week the long awaited and anticipated conspiracy theories episode pt 2 is here. Meghan discusses some more current theories and Amanda focuses on Oscar conspiracy’s. And of course we give our Oscar predictions as well. So please sit back, relax and enjoy! We will now only be posting bi-weekly! Welcome or welcome back to Not So Sober Thoughts with Meghan & Amanda! This week is a mystery show, so you must download and listen to find out the topic. So please sit back, relax and enjoy! Welcome or welcome back to Not So Sober Thoughts with Meghan & Amanda. On the special episode it is all about women rights. We discuss the women’s march against Trump that happened all over the world. We also talk about what women are actually fighting for and dive deeper into those issues. This is an episode you do not want to miss out on. So please sit back relax and enjoy! Welcome or welcome back to Not so sober thoughts with Meghan & Amanda! In this episode we discuss trends we want to leave way behind in 2016. We also discuss the slim list of good things that happened in 2016. Also, we dive into our peaks and pits in 2016 and some predictions for good ole 2017. So please sit back, relax and enjoy!